Nongenotoxic bladder carcinogens that form bladder calculi have been concluded to be of low carcinogenic risk to humans because bladder stones would be expelled or surgically removed before they had a chance to exert their carcinogenic effect. It is the aim of this report to examine the possible contribution of indomethacin to the carcinogenic risk posed by nongenotoxic bladder carcinogens that cause bladder stones. Indomethacin may act as a tumor promoter in the bladder by interfering with the synthesis of prostaglandins. Prostaglandins have a cytoprotective function in the gastric mucosa and possibly also in the urinary bladder. Diminished cytoprotection may be implicated in bladder carcinogenesis as β-naphthylamine, a human bladder carcinogen, also inhibits prostaglandin synthesis in vitro. The presence of other tumor promoters in the bladder may further ensure that tumors would be formed even if bladder stones were expelled. People who are exposed to nongenotoxic bladder carcinogens that are present in the environment and that form bladder stones, therefore, may be at an increased risk for developing bladder cancer if they are also exposed to tumor promoters, such as indomethacin. About 80% of all bladder cancer in the United States occurs in men over the age of 60 (Burin et al., 1995; Kryger et al., 1996). Several causes of bladder cancer in humans have been identified including cigarette smoke, which is responsible for approximately 50% of all bladder cancer, chronic bladder infection, catherization, pharmaceuticals such as phenacetin-containing analgesics, chlornaphazine and cyclophosphamide, and genotoxic chemicals including 2-naphthylamine and aromatic amines (Hartge et al., 1987; LaVecchia et al., 1999). In addition, a number of nongenotoxic chemicals that cause bladder calculi in rodents also cause bladder cancer in the same animals, but their carcinogenic risk to humans is under intensive debate (Huff, 2002). A mechanistic hypothesis was formulated for the possible contribution of indomethacin to the carcinogenicity of nongenotoxic bladder carcinogens that form bladder stones. The published scientific literature on the tumor promoter effect of indomethacin and the carcinogenicity of nongenotoxic bladder carcinogens that form bladder calculi was reviewed (Gross, 1974; Heck et al., 1985; Holmang et al., 1995; Fukushima et al., 1992). There has been intense interest in the relationship between bladder cancer and bladder calculi ever since it was shown that inert pellets (e.g., glass beads, paraffin wax) implanted into the bladder of rats caused bladder tumors (Jull, 1951; Clayson et al., 1970; Jull, 1979). Since then, at least 17 nongenotoxic chemicals have been reported to cause bladder cancer in rats and/or mice, mainly or exclusively transitional cell carcinoma (Table 1). Of these, sodium saccharin, terephthalic acid (TPA), uracil, melamine, diethylene glycol, and 4-ethylsulfonylnaphthalene-1-sulfonamide also formed bladder calculi in the same animals that had bladder cancer (Table 1). Studies in rats with TPA, melamine, and uracil have further shown that bladder cancer generally was absent in animals lacking calculi (Heck et al., 1985). In addition, a statistical analysis of the data from the melamine carcinogenicity study revealed a significant association between bladder cancer and bladder calculi (Melnick et al., 1984; Heck et al., 1985). It has been suggested that the mechanism of carcinogenicity for nongenotoxic bladder carcinogens that form bladder calculi includes an initiation phase caused by mutagens in the urine and a promotion phase caused by irritation, inflammation, and resulting cell proliferation produced by bladder calculi (Clayson et al., 1970; Rodent Bladder Carcinogenesis Working Group, 1995). A threshold-dependent mechanism of carcinogenicity for nongenotoxic bladder carcinogens that form bladder calculi therefore was proposed (Rodent Bladder Carcinogenesis Working Group, 1995). 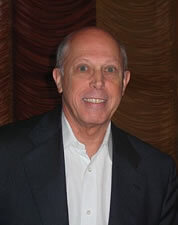 Dr. Harry A. Milman, is an international authority in Toxicology, Carcinogenesis (e.g., cancer causation), Pharmacology, and Pharmacy Standard of Care with over 40 years experience at the US National Cancer Institute of the National Institutes of Health, the US Environmental Protection Agency, the US Public Health Service, and as a Consulting Toxicologist.